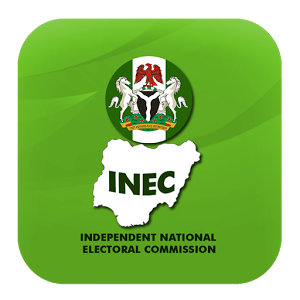 The Independent National Electoral Commission (INEC) has stated that it will remain vigilant in collation of results until the announcement of the final result and winner of the Anambra governorship election. INEC Director of Publicity and Voter Education, Mr Oluwole Osaze-Uzzi told newsmen on Saturday that the commission would continue to ensure that all the processes of the election went down well. "Election can be manipulated at any stage, so we have to be vigilant until the final result is collated and the winner is announced by the commission. “The collation of result from the units to the state level is on going. Until the final result is announced, INEC remains vigilant to ensure that the people’s votes count. “So we are still vigilant at every stage,” Osaze-Uzzi said. He assured that all votes cast would be properly recorded, transmitted and collated at the end of the day. On the general assessment of the election, Osaze-Uzzi said the voting process was generally peaceful and was in accordance with plan, except for the late commencement of poll in some few units. “Generally the election has been peaceful and we are very happy. The turnout look to me better than the last two previous governorship elections,”‎ he said. On the allegation that there was no election at Okpoko in Ogbaru and Umudim in Nnewi North council areas, Osaze-Uzzi said the matter was also being investigated by the commission with a view to finding appropriate solution to the problem. “It is being investigated and I think it has to do with late arrival or shortage of materials. "The matter was resolved but a bit late. The community was saying we should reschedule the election in the affected unit to tomorrow, but we are looking at the best option,” he added.